The Kate Spade New York Point Breeze Small Coal Shoulder Bag is currently selling for just $145.80 on Amazon.com! You will be saving 60% off the listed price of $368.00 with this fashion deal. 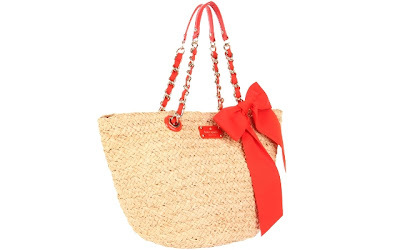 What I like about this handbag is the splash of color in the bow and shoulder straps. It is perfect for carrying this Spring, during the summer, or on your next vacation.